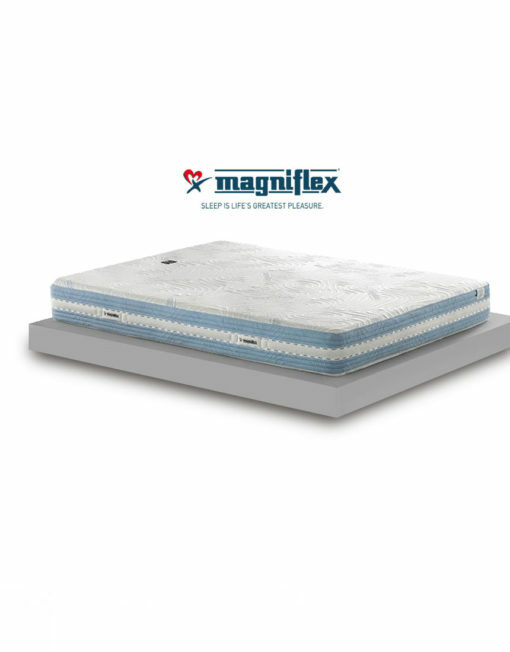 The Magniflex Dual 9 memory foam mattress made by Magniflex of Italy. 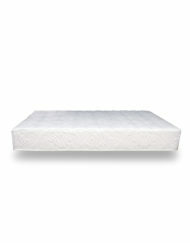 This Magnigel topped mattress will help you keep cool in hot summer months and softly absorb your body. 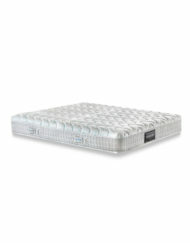 The base mattress is built with Eliosoft support and memory foam to give you both support and comfort. 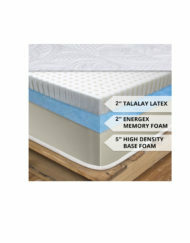 With a stand out feature of a reversible half this mattress can be half medium and half firm at the same time for two different people. 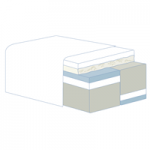 Alternatively it can be all firm, or all medium with a simple flip of the internal halves. The cover uses a natural fiber made from wood. The cover is also removable and washable. Oeko Tex – Made in Italy. 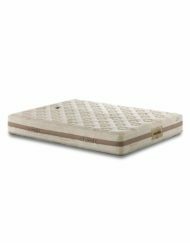 Highly breathable with a soft top and firm base support, this mattress is all quality. 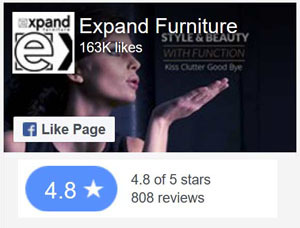 Compatible with MurphySofa Wall Bed Systems. Allow 2 weeks for delivery. Sent directly to you from Italy. Benefits Extra comfort, Breathable, Embracing. Cover is removable and washable. VISCOSE is a soft, silky fabric made from purified cellulose from trees. 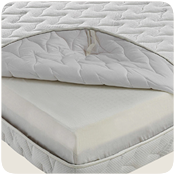 It is extremely soft and silky and absorbs moisture rapidly, ensuring highly breathable mattresses and pillows. MEMOFORM is the most anatomical of the materials employed and is designed to react to the weight of the body so that it adapts perfectly to each contour of the human figure. 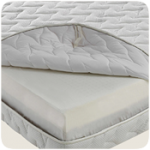 This property provides a sensation of well being and lightness during sleep and has beneficial effects on the spine, enabling it to relax. 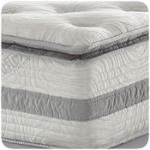 Memoform has a high density open cell structure which allows air to flow freely through the mattress and enables it to mold itself to the pressure exerted by the body, supporting it correctly and providing an extremely beneficial effect. 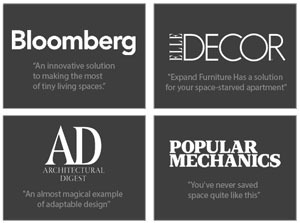 Memoform provides an optimal solution that enables the foam to regain its original shape, focusing on the effect of weight rather than heat. 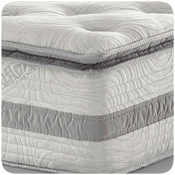 The material ensures a constant level of comfort over time and can mold itself rapidly to the contours of the body. 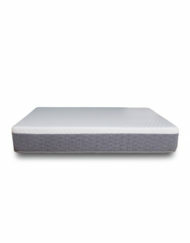 By following the body’s movements during sleep, Memoform offers an unrivaled night’s sleep. 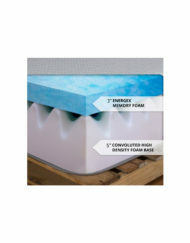 This foam has a high density micro-cellular structure that combines elasticity and breath-ability. 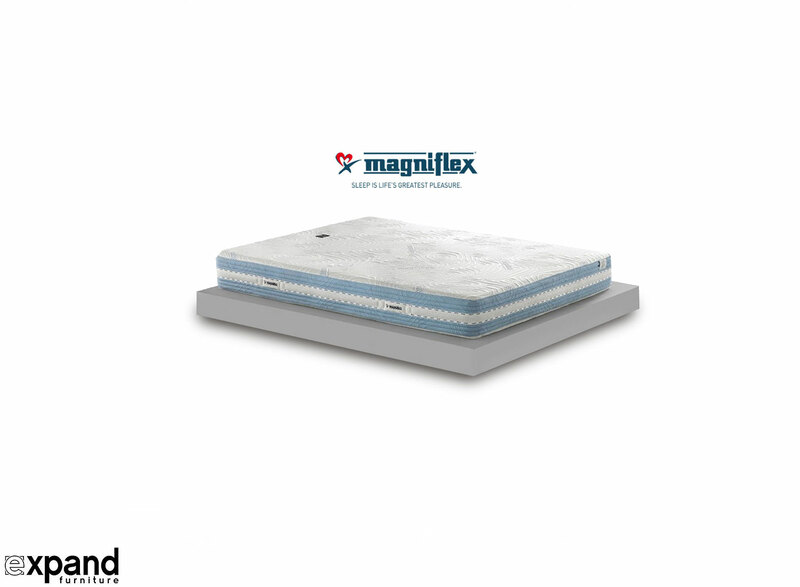 Due to its special molecular structure, Magnifoam is available in two versions: a softer version (Eliosoft) and a firmer version (Elioform).